As people of God, we seek to boldly share Christ, passionately make disciples, and faithfully do justice in our communities. Synod Assembly is the annual gathering of the Florida-Bahamas Synod–pastors, deacons, voting members, visitors and guest. Synod Assembly is a chance to gather for worship, receive reports and updates on mission and ministry throughout the church, strengthen relationships and networks through fellowship and conversation, expand awareness and understanding, and participate in decision-making. 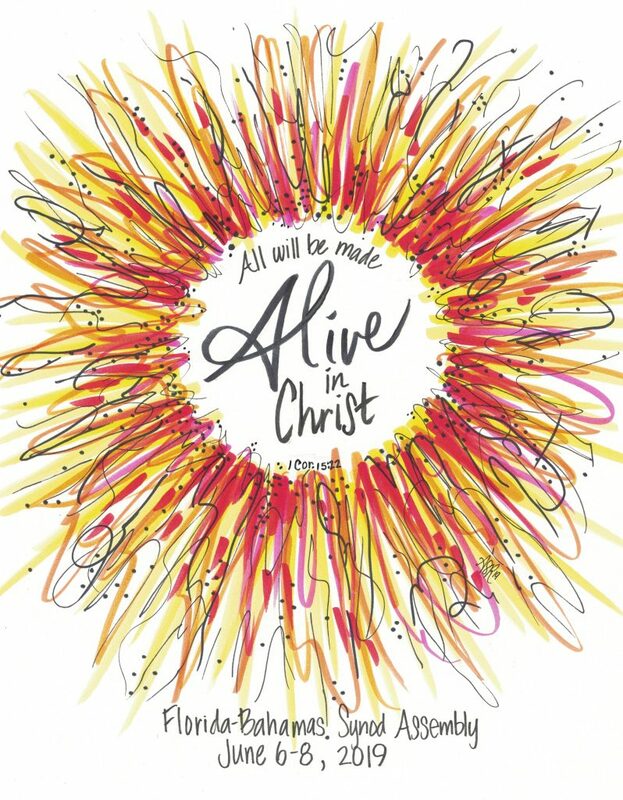 This year’s assembly theme is “Alive in Christ,” and will focus on celebrating and identifying the various ways the Holy Spirit brings life to the Body of Christ. A valuable part of synod assembly–that includes those who are not able to make it to the assembly itself–is the synod service project. This service project is a chance for congregations throughout the synod to come together around a unified purpose and offer resources for the sake of an important ministry. This year’s service project will support a ministry that offers services to the working poor in Orlando. Find out more about this year’s Synod Assembly, the agenda, service project, and special opportunities being offered by visiting the Synod Assembly page.